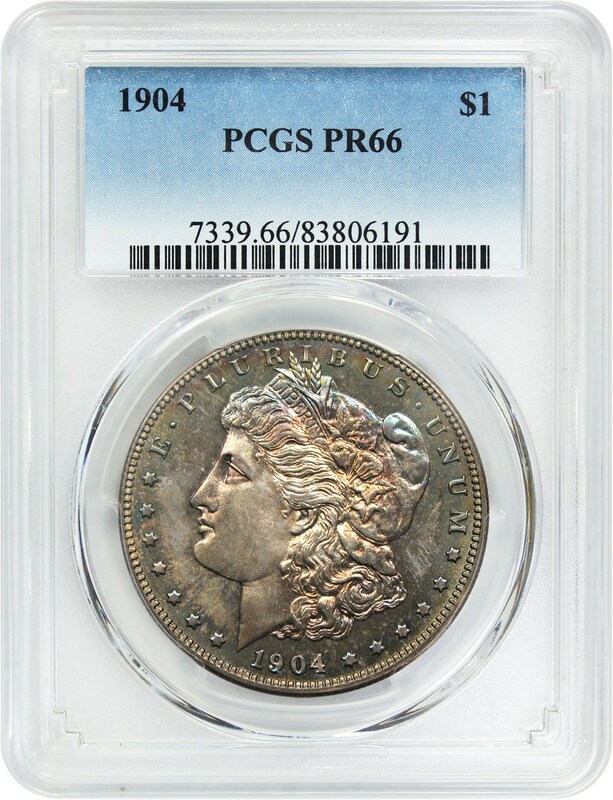 Pretty gem proof Morgan with lovely toning and very nice eye appeal. 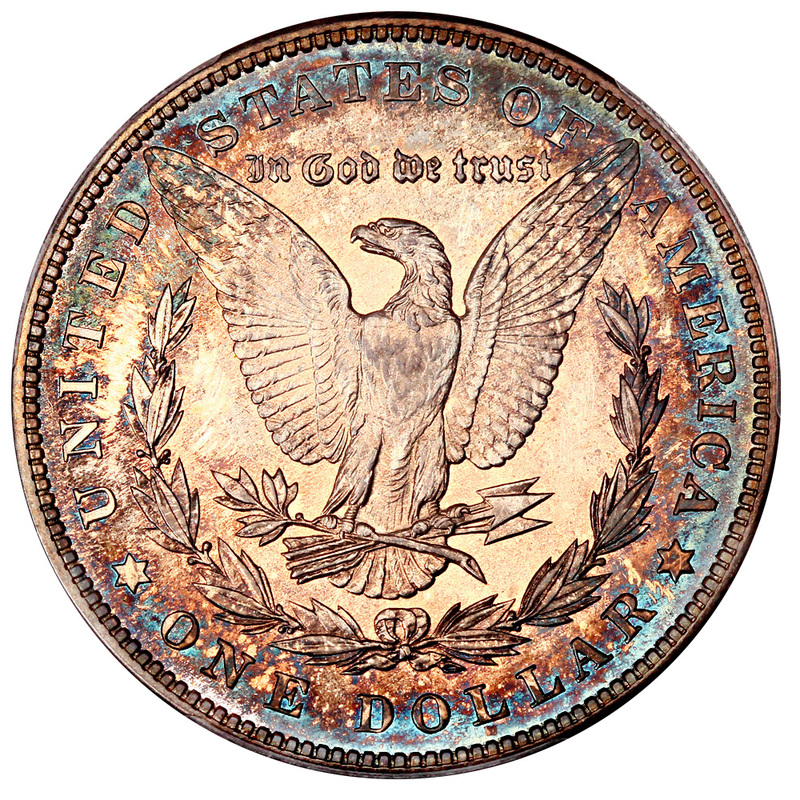 The obverse and reverse toning consists of rose-gold in the center with blue and green highlights around the rim. 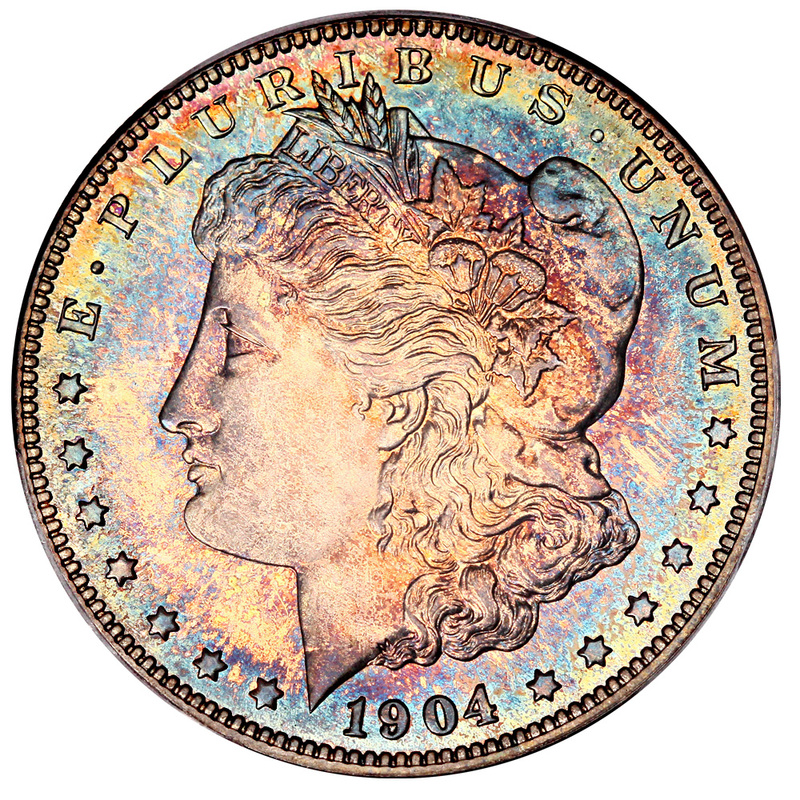 The last year of regular proof issues for the Morgan set and we see this date less frequently than many others. 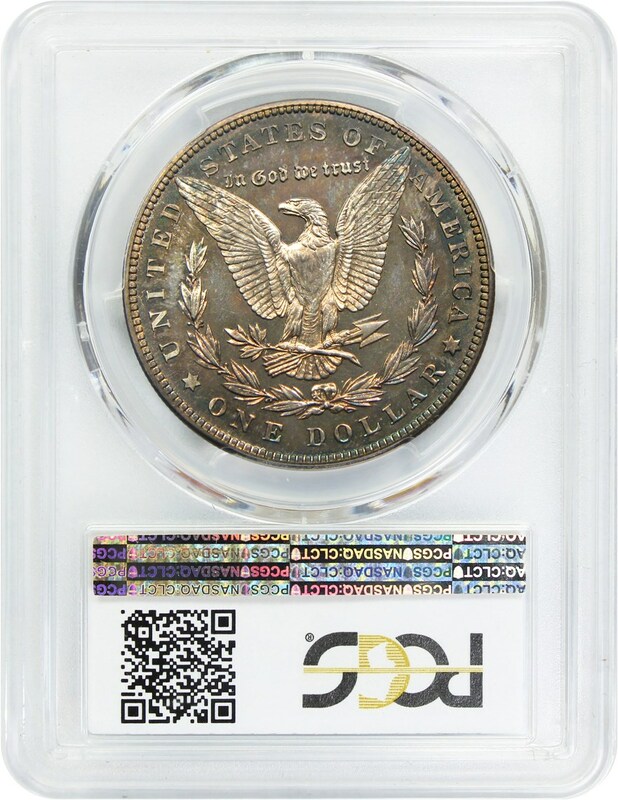 Mintage of just 650 coins struck in proof format.